Thank you for your interest in New Student Orientation at Pitt Community College. New Student Orientation is the beginning of your journey at PCC and it is where you will receive the tools needed to be successful during your time as a new student. In order to register for one of the orientation session dates below, you must have your myPittCC username and password. If you have not yet initially logged in to your myPittCC account, please reference your acceptance letter or the myPittCC login instructions and follow the detailed steps before proceeding. New freshmen and transfer students attending Pitt Community College for the first time must complete an orientation session prior to registering for courses. You will be matched with your academic advisor and register for classes at your selected orientation session. All new freshmen and transfer students are required to meet with an admissions counselor prior to registering for an orientation session. Please click here to create your appointment using your myPittCC account. 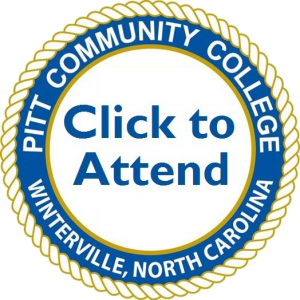 If you are a distance learner or have circumstances preventing a face-to-face appointment, please contact the admissions counselor listed on your acceptance letter directly, call 252-493-7245, or email pcccounseling@email.pittcc.edu to make alternate arrangements for a phone, email, or virtual meeting. If you have additional questions, are uncertain about which orientation to attend, or wish to change your scheduled orientation date, please contact the New Student Orientation Office at orientation@my.pittcc.edu.